Benjamins are delighted offer for sale this well presented three bedroom semi detached home situated within the much sought after village of Bunny approximately seven miles South of Nottingham City Centre, this very desirable village offers local amenities including the Parish Church, local Rancliffe Arms Public House, Church of England Primary School, and transport links to Loughborough and Nottingham. With the Benefit of Gas Central Heating and Double Glazing, the accommodation briefly comprises entrance hallway, Living Room, Kitchen Diner, Utility Room, Downstairs wc, Three Bedrooms and Bathroom to the first floor and potential for further bedroom within the attic. To the front of the property is ample off street vehicle parking with access to a garage and a delightful Rear Garden backing on to open fields. An Early Viewing is Highly Recommended To Appreciate This Home. 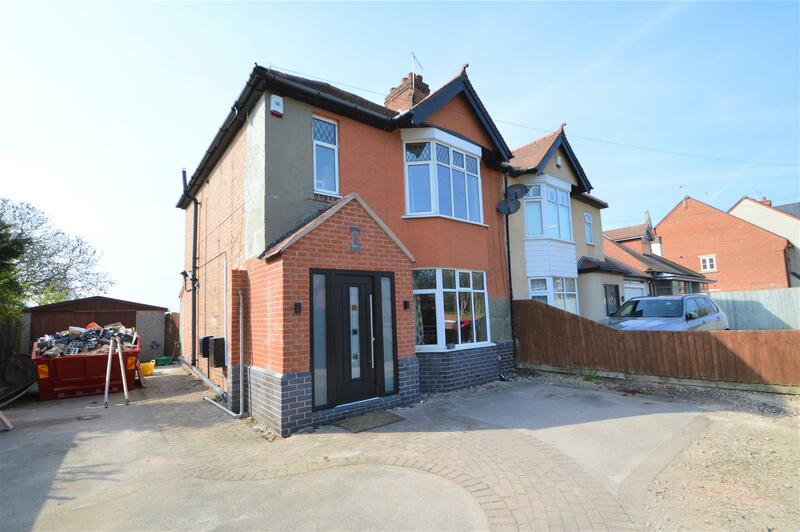 To Arrange A Viewing Contact Benjamins On 0115 9371713. UPVC double glazed bow window to the front aspect, electric fireplace with surround, ceiling light fitting, radiator & carpet. With window to the side aspect. Fitted with a range of modern high gloss wall and base units with wood effect work surfaces over, tiled splashback s and led display lighting above and below units, integrated dishwasher, double oven and gas hob with extractor over. Circular stainless steel unit with mixer tap over, radiator, wood effect flooring inset ceiling spotlights and door to utility room. Feature brick fireplace with timber mantle over and tiled hearth, ceiling light fitting and upvc double glazed doors leading out to the rear garden. With double glazed window to the side aspect. Fitted with a modern suite comprising wc and inset wash hand basin with mixer tap over and vanity unit below and tiled splashbacks. Wood effect flooring. Recently updated suite with fully tiled walls and tiled flooring and fitted with a modern white suite comprising bath with mixer taps, wc, inset wash hand basin with drawers below, separate shower cubicle with shower over, extractor fan, inset ceiling spotlights and heated towel rail. UPVC double glazed bow window to the front aspect, fitted wardrobes, ceiling light fitting, radiator & carpet. UPVC double glazed window to the rear aspect over looking the garden and views beyond. Ceiling light fitting, radiator & laminate flooring. UPVC double glazed window to the front aspect, ceiling light fitting, radiator & laminate flooring. Stairs up to the loft room which has had work started. It has been fully insulated by the current vendor. The front of the property is accessed by timber gates giving access to a good sized driveway providing of street parking for several vehicles with access to the GARAGE. The large enclosed rear garden is mainly laid to lawn with patio seating area and enjoys pleasant open views to the field beyond. The local authority Rushcliffe Borough Council has advised us that the property is in council tax band C, which we are advised, currently incurs a charge of £1,757.92 (2019/20) Prospective purchasers are advised to confirm this.